Note to readers: In the UK, this book is published under the title The Hoarder. From the award-winning author of Himself comes a spellbinding and “magically entertaining read” (Good Housekeeping, UK) about a lonely caregiver and a cranky hoarder with a house full of secrets that “will appeal to fans of Tana French and Sophie Hannah, as it charms and unsettles in equal measure” (BookPage). Maud Drennan is a dedicated caregiver whose sunny disposition masks a deep sadness. A tragic childhood event left her haunted, in the company of a cast of prattling saints who pop in and out of her life like tourists. Other than visiting her agoraphobic neighbor, Maud keeps to herself, finding solace in her work and in her humble existence—until she meets Mr. Flood. Cathal Flood is a menace by all accounts. The lone occupant of a Gothic mansion crawling with feral cats, he has been waging war against his son’s attempts to put him into an old-age home and sent his last caretaker running for the madhouse. But Maud is this impossible man’s last chance: if she can help him get the house in order, he just might be able to stay. So the unlikely pair begins to cooperate, bonding over their shared love of Irish folktales and mutual dislike of Mr. Flood’s overbearing son. 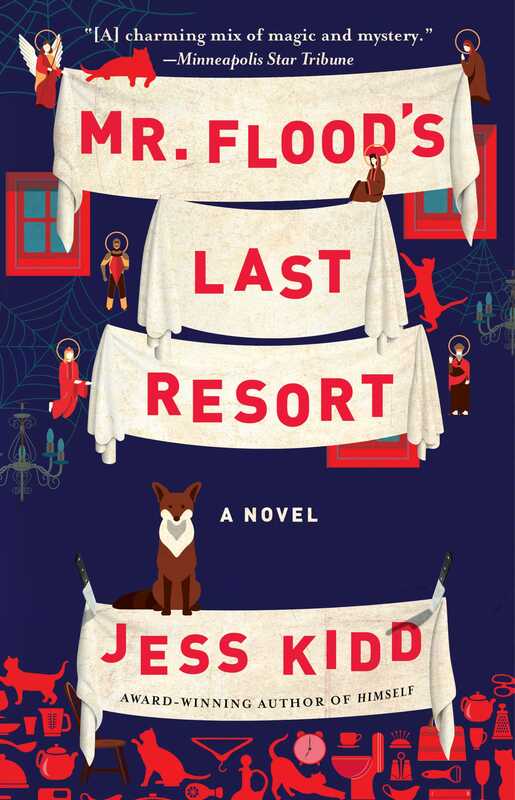 Mr. Flood’s Last Resort is “a rare delight” (Cosmopolitan, UK) examining the space between sin and sainthood, a novel that “perfectly balances tragedy with dark comedy” in which “the dialogue crackles and every detail enchants” (Shelf Awareness). This reading group guide for Mr. Flood’s Last Resort includes an introduction, discussion questions, and ideas for enhancing your book club. The suggested questions are intended to help your reading group find new and interesting angles and topics for discussion. We hope that these ideas will enrich your conversation and increase your enjoyment of the book. The award-winning author of Himself presents the spellbinding tale of a lonely caregiver and a cranky, elderly hoarder with a house full of secrets. Packed with eccentric charms, twisted comedy, and a whole lot of heart, Mr. Flood’s Last Resort is a mesmerizing tale that examines the space between sin and sainthood, reminding us that often the most meaningful forgiveness that we can offer is to ourselves. 1. Is Mr. Flood a good man? How did your perception of him change over the course of the novel? 2. The novel is called Mr. Flood’s Last Resort, but Maud is the narrator. Do you see this story as belonging more to one character than the other? Who is our hero, or heroine? 3. Most of the novel is set at Bridlemere, Mr. Flood’s estate. From a craft perspective, what do you think is difficult or useful about setting a novel in a confined space like that? Did the author do anything to extend the canvas, the stage on which the action takes place? 4. What purpose do the flashbacks in the novel serve? Why do you suppose they don’t open with illustrations like the other chapters? 5. What roles do storytelling and folklore play in the story? How does Irish heritage shape Maud’s and Mr. Flood’s personalities, and their relationship to one another? 6. Renata Sparks, Maud’s neighbor, is agoraphobic. Why do you think the author chose to subject Renata to this particular phobia? How does it inform her portrayal and play into the novel’s themes? 7. How would you characterize the tone of the novel? What about the language? 8. What role do the patron saints play in the novel? How does the author’s choice to anthropomorphize them affect your perception of the saints? Did you have a favorite one? 9. As readers, we get to know Mr. Flood gradually, with his past being revealed piece by piece. What surprised you most about Mr. Flood’s past? 10. Why do you think Maud falls for “Sam Hebden”? Did you find their courtship persuasive, realistic? 11. Jess Kidd’s novels cross genres, blending light and darkness, whimsy and mystery, the real and the supernatural. If you had to sum up this book in one line, how would you describe it? 12. The author wrote this novel in the wake of her father’s death and has said that it was her way of “exploring loss, grief, regret and the mechanisms we develop for dealing with these emotions.” Where do you see evidence of this in the story? What are some of the coping mechanisms she might be referring to? 13. After intruders break into Renata’s apartment, Maud finds her friend in the bathroom in a terrible state and thinks, “There are no saints for this.” In a novel full of religious motifs and themes, how do you interpret a line like this? 14. Overall, do you find the novel hopeful? Why or why not? 1. Ask members to bring in folktales from different cultures to share with the group. Discuss: How are the stories different from one another? Are there any commonalities? 2. As Gabriel Flood tries to put his father in an old age home against his will, Maud comforts Mr. Flood by keeping him company and listening to his stories. Plan a field trip to a local senior facility. Engage with residents as they tell you the stories of their lives. 3. Dive into your family history and see how far back you can trace your ancestry. Who knows what you might discover! Dive into your family history! 4. Get creative: The Illustrated Book of Saints is a relic from Maud’s childhood that remains essential to her identity. Just for fun, annotate a book that you treasure and share it with the rest of your book club. Jess Kidd is an award-winning author with a PhD in creative writing from St. Mary’s University in London. She grew up as part of a large family from Ireland’s County Mayo and now lives in London with her daughter. 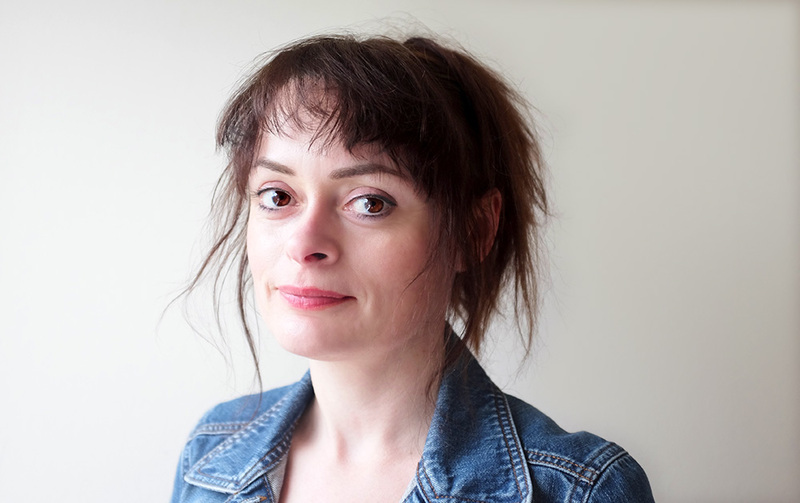 Her first book, Himself, was shortlisted for the Irish Book Awards. Learn more at JessKidd.com. "Jess Kidd’s mysteries refuse to conform to genre in the most delicious of ways. She sculpts her imaginative storylines with a deft hand managing to bring otherworldly elements into the intriguing mystery at the center of her plot."